The first Foothill Progressive Montessori School was founded in January of 1984 by Mrs. Padmini Joseph and Ms. Kanthi De Silva. They both had been teachers for many years and felt that starting their own school would give them more control over what they taught children. 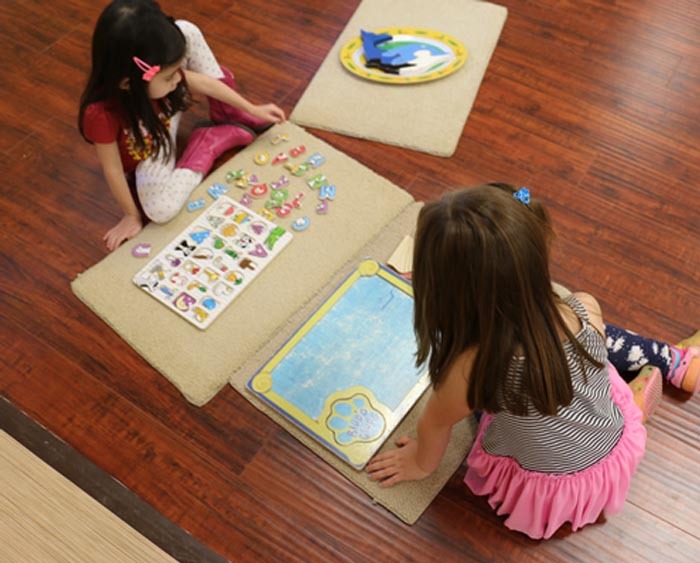 They felt strongly about using the Montessori system as the basic building blocks of a successfull child. The original school started with just 12 students, ranging in age from 5-12 years. The original space for the school was at the FIS Building, a closed down elementary school. This is where the Kindergarten and elementary school was started under the direction of Ms. Joseph. After much preparation and planning the preschool section opened in July 1984 under the direction of Ms. Desilva. In 1994 the preschool section moved to a brand new purpose built building on Houseman street while the elementary section was moved to Indionola way in 1995 where it has been since then. The school then expanded into a number of other schools including Angels Montessori Preschool (Alhambra) & Flintridge Montessori school. One of the key objectives at the school is do develop strong academic skills, but not at the expense of other skills. Good social skills, condideration for others especially the elderly, physical fitness, appreciation of music & dance, charity (tsunami relief fund), cultural diversity are some of the life skills that the school promotes. Emphasis is placed in developing well rounded children who can go on to become productive citizens and make the world a better place. In fact many of our students have gone on to achieve great success, won essay conpetitions (Disney), received the Gold award for academic excellence, choosen to play movie roles, been selected as ambassadors and much more.